Good morning Mike, Many thanks for your message and for such a fun evening on Saturday. I have received lots of good comments about the music and caller and am pleased to tell you the event raised £2,225 for Voices for Hospices Choir. This will help offset the costs of the big concert in Winchester Cathedral on 12th October and enable us to donate more funds to our Hampshire hospices. Once again, Thank you so much for all your support. Best wishes, Janet. Wedding barn dance at Bury Court Barn. Amanda calling with Janet, Francis, Ian and Luke in the band. I just wanted to say a big thanks to the Woodsiders for playing at our wedding on Saturday. 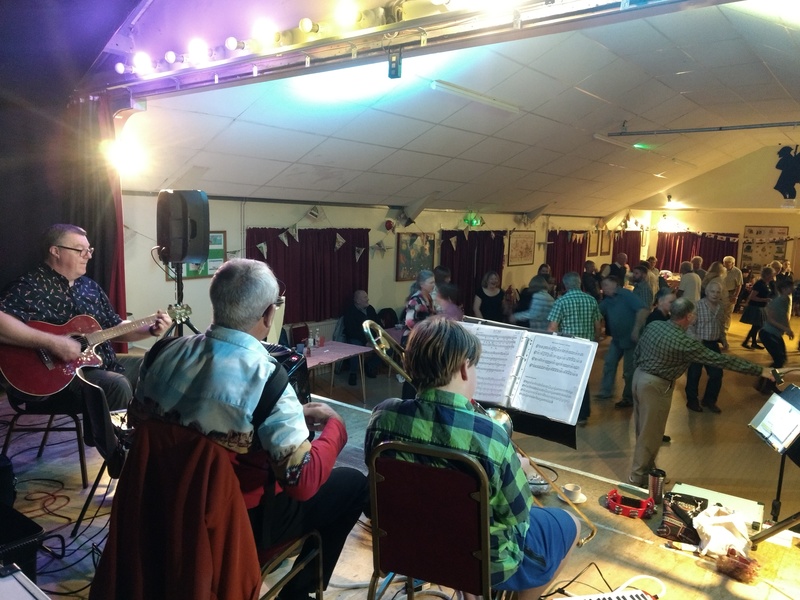 We had so many people tell us how much they enjoyed the ceilidh and it was such a fun way to get everyone up and dancing! 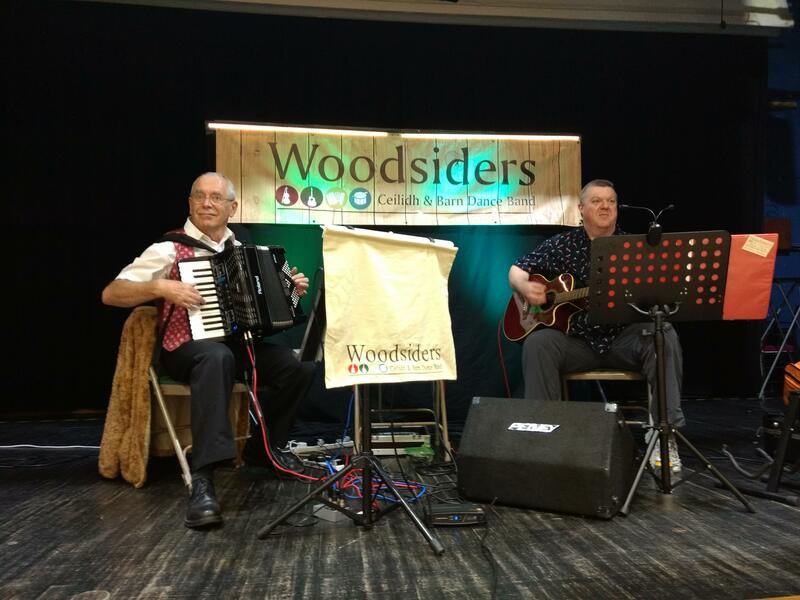 If you need any words / testimonial, I would be more than happy to provide as I was really impressed and it really made our evening having the Woodsiders play. If you could pass on our gratitude to all of the members that would be appreciated. 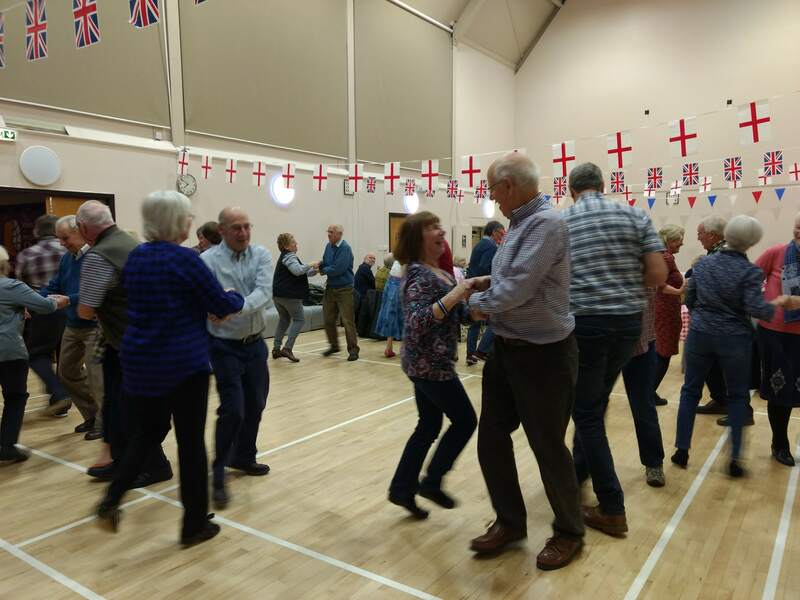 Thanks to the 40 dancers who joined us for our first public barn dance in North Baddesley. A great evening with lots of dancing. We will be repeating it next year. 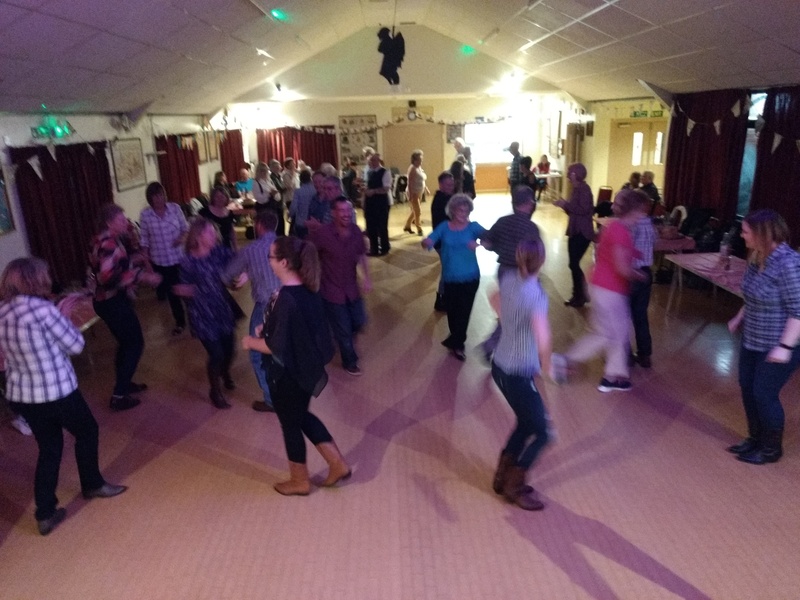 The last of our autumn series of barn dances this coming Saturday, and as of 12/11 50 have booked. Email or text Mike to reserve any of the remaining 25 tickets. Expect some great music both for the dancing and during breaks between the dancing. Tickets available on the door – £8 adult, £5 child – bring your own drinks. Thanks to all who came to our first autumn series dance at Broadstone. A great evening. We will be repeating probably twice next year.